One of the most obvious things that invariably strikes any awakened being on seeing anywhere and everywhere, at any time and every time is the vastness of the universe and the infinite variety of the animate and the inanimate. For example, if one stands on the sea-shore one sees vast stretches of water, the waves on it continuously striking the sea shore producing foam like splashes, the infinite variety of marine life, the sound, the air, the wind, the Sun and the innumerable number of stars grouped in galaxies, the planets orbiting round the starts. Then there is the sand below, with a large numbly; of pretty shells and pebbles. On the sides, there are rocks of different hardness, color, permanence’s and texture. Any other spot in nature is equally complex and has a similar variety of inanimate and animate things. There are almost innumerable kinds of things in the living and the nonliving kingdom. One fumes that no two things even in a given category are identical. For example, if one goes to a rose garden, one sees a large number of roses but no two roses are identical. In much the same way, no two living things are identical. There are some 300,000 species on this planet where life exists. However, no two members even within a given species are exactly alike. Besides the multitudinous variety and the vastness of the universe, one finds that each part of the phenomenological world, each living being, indeed each and everything in the universe is continuously moving, changing and transforming. Trees grow from seeds, they flower and after while perish. So does everything including human beings. Even the stars which appear stationary do indeed move and move with velocities of the order of few thousand kilometers per second. Not only men are born and they die, even the stars are born, shine for a while and die. The tiny carbon atoms in a diamond crystal continually vibrate performing 1012 oscillations a second. Dynamism, change, motion are not only the properties of the animate but are equally shared by the inanimate. This vision of the universe so common, so unavoidable, so eternal raises a number of questions in the mind of any awakened being urging him to seek satisfactory answers and plausible explanations. Some of the basic question that have excited the curiosity of men since the dawn of human civilization am (1) In this continual flux and infinite variety that is so characteristic of the universe, is there a single entity which manifests itself in this infinite variety?, an entity which is absolute and transcendental, and entity which is imperishable because not conditioned by time, indivisible because not condition by space, immutable because not conditioned by causality and therefore eternal, unalterable and undeceiving. If so what is the nature of that entity which provides fixity and stability to the universe? (2) what is the nature of the phenomenological world sometimes referred to as Prelate?. (3) Any conscious living organism appears to be a symbiotic combination, a complete fusion (Aiyoiya Tadatrrya) of perishable matter and an immortal consciousness puree, What then is the relationship between puree and pralq-ti? The body and the soul, the mind and matter, the physics and psyche and the relation of both these to the Supreme Creator the larva (4)Is the pheriomenological world a reality or is it merely an appearance, an illusion, a seeming? (5) For whose benefit is this drama with actors ever changing and of bewildering variety being played? Is it that this drama is being played for the benefit of conscious beings and perceiving egos who each in his private space of reasoning and perceiving mind is partitioned off by an overlapping medium of gross matter. (6) Are the things and beings changing according to a certain master plan or is it an unplanned, chaotic, random change? • In other words, is there any specific goal or purpose for the evolution of the universe and if there is a certain master plan according to which the universe is evolving, then who is it that conceived the master plan? (7) What is life? How did it originate? (8) How and why there is an inevitable and eternal aspiration and deepest urge in a human being, an instinct almost planted at the time of his making manifesting itself in the divination of Godhead, the impulse toward perfection and unmixed bliss, the sense of secret immortality surprisingly contradictory to his normal experience of misery, pain, conflict and strife, (9) What is the purpose of life? And the like. 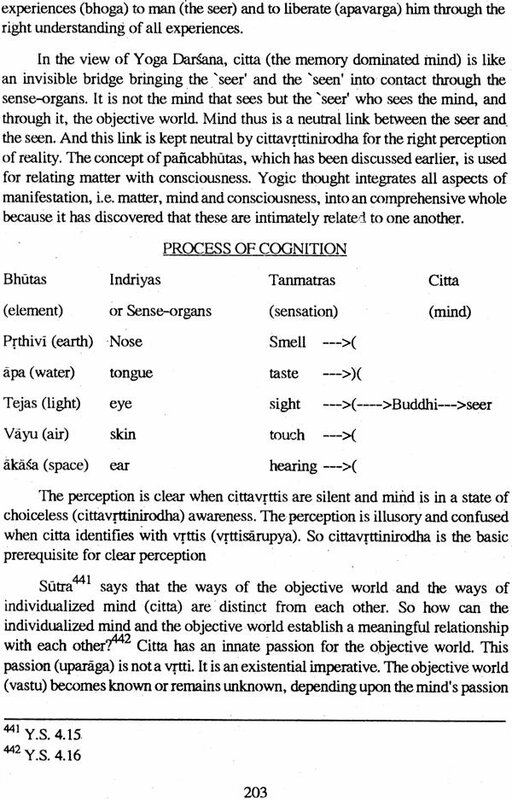 These question take different forms but are ultimately directed towards the understanding of the external world characterized by atoms and molecules, by space and time, by matter and energy as also of the internal world characterized by mind, consciousness, soul etc., and the relationship of the internal world and the external world with the creator or the understanding of pursue, prakrti and ‘lsvara or jive, jagat and jagdish. Indeed it is given to man and man alone to ask these questions and seek satisfactory answers. This is because of his consciousness, his ability to think, to reason and to generalize. Such questions were asked in specific form by Nachiketas of Yams in Kathoupanishada and by plotlines in his brief “who are we”? These are on found questions and their answers form as Lord Krishna says in the Geeta. 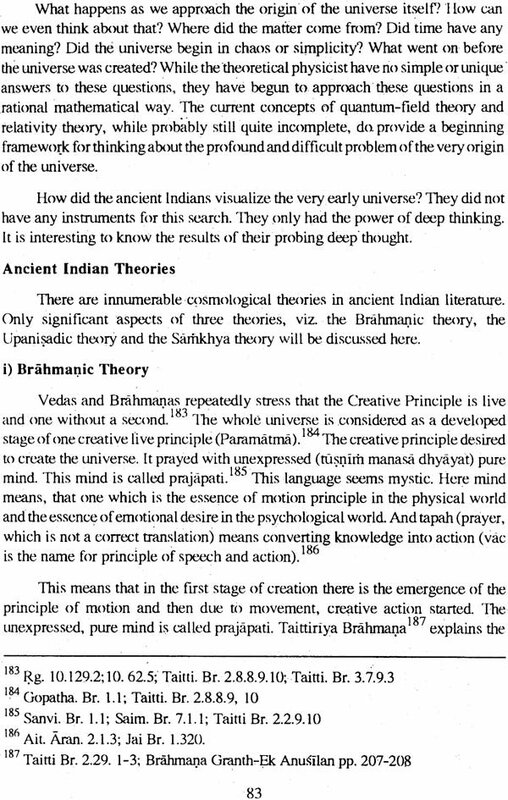 The earliest attempts at seeking some understanding of these basic questions were made in India, some few thousand years ago. The seers of ancient India in their experiments and efforts at spiritual enlistment and the conquest of the perishable body perfected the method of yoga and through the practice of yoga arrived at some crowning realizations which form the basis and the fountainhead of the glorious Indian’ philosophy which has both universality and validity irrespective of time and space and which is so profound and which is still’ unsurpassed in its wisdom and vision. In contrast, modem science has ‘through and approach based an experiments, objective analysis of the results’ of experiments, evolving generalizations from this analysis, further experiments to confirm the predictions made on the basis of the generalizations, and so on, a method sometimes referred to as the ‘scientific method, arrived at satisfactory answers to some of the basic questions. 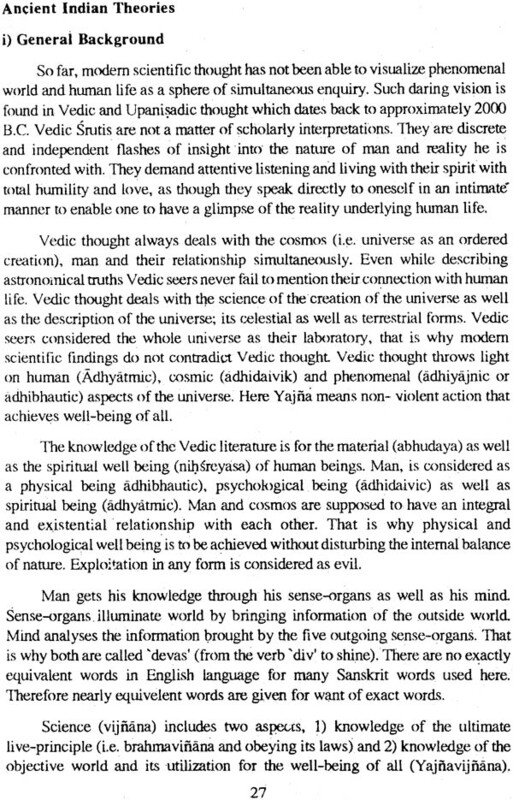 Not surprisingly, as shown ad elaborated in this book, the conclusions arrived at by the ancient seers through mediation and the practice of yoga are, in general, in harmony with the conclusions arrived at by the modern scientists through their scientific method. The strength of method of science and the conclusion drawn through its study lies in the fact that the scientific vision and the generalizations arrived at there from are not confined to privileged few but can be communicated, demonstrated and even proved to anyone who wishes to understand them. At the root and foundation of the scientific inquiry lies the tacit assumption, the Nature is logical, rational and understandable. Indeed, Einstein once said that ‘the most incomprehensible thing about Nature is that it is comprehensible. He further goes on to say that this conviction akin to religious faith, about the rationality and intelligibility of the universe the lies behind all scientific work. This firm belief, a belief bound up with deep felling for a supreme mind that reveals itself in the world of experience represents my concept of God. With this firm conviction and using the method. Of questioning Nature through experiments and seeking answers, science has been remarkably successful in answering some of the questions raised earlier. Man’s relationship with the external world is of two kinds- existential and Psychological Existential relationship is not a man-made phenomena. Modern science explores the external world, but till very recently it has been completely excluding man and his consciousness from this enquiry. Man was considered to be an outsider who was supposed to be observing and studying the external world. Theory of relativity and quantum theory forced the scientists to include human mind and human consciousness in their search for reality. Theory of relativity stated that mass, energy; space and time are all relative concepts. External world is nothing but a flow of events. The only absolute thing in the phenomenal world is the speed of light. It always remains the same, whatever the speed of the observer. And the concept of the velocity of light is basically a creation of mind (city in Indian thought). The unit of length (meter) is defined by the distance traveled by light in one second. (i.e. = 299792458 meters). It is also importation note that the foundatioti of the world of atom involves integrating the number r a pure mathematical construction (r = 3.141 592 --- to enmity is a new universal constant and has the dimensions of action. In order that the theory may agree with experiment, one must make 1 =h/2twhere h is the universal constant that was introduced by Planck, known as Planck’s constant (h=6.626 x it is and E=he) and has dimensions of action i.e. energy x time). In quantum theory Bohr’s principle of complementarily, asserts that there exist complementary properties (like that of a wave and that of a particle) of the same object of knowledge, one of which if known will exclude knowledge of the other. Further, the experimental arrangements that determine these descriptions are similarly mutually exclusive; which experiment- and hence which description one chooses - is purely a matter of human choice. As Werner Heisenberg himself said “we have to remember that what we observe is not nature herself, but a nature exposed to our method of questioning”1. 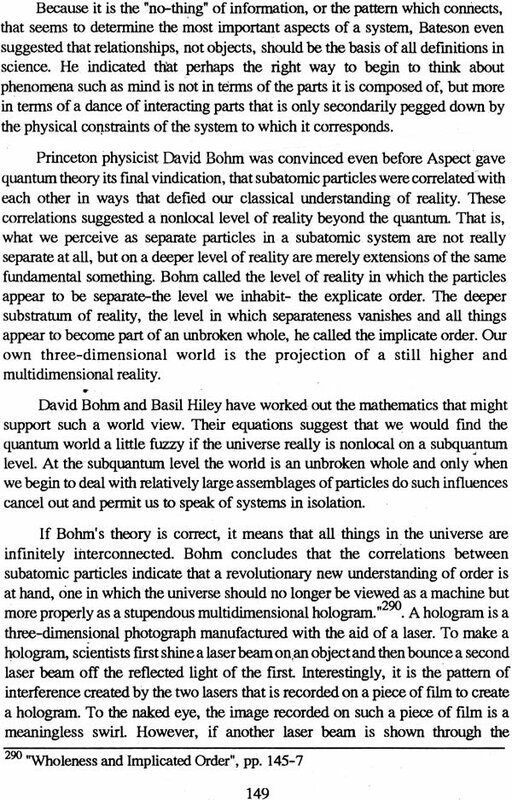 Niels Bohr says, “Science is a fascinating adventure in which we are both spectators and actors”2 (the ‘seer’ and ‘the seen’ in Indian thought). Quantum theory and the theory of relativity both imply the neetho look at the world as undivided whole in which all parts of the universe, including the observer and his instruments, merge and unite in one totality. In this totality, th atoinistic form of insight is a simplification and an abstraction, valid only iii some limited context. 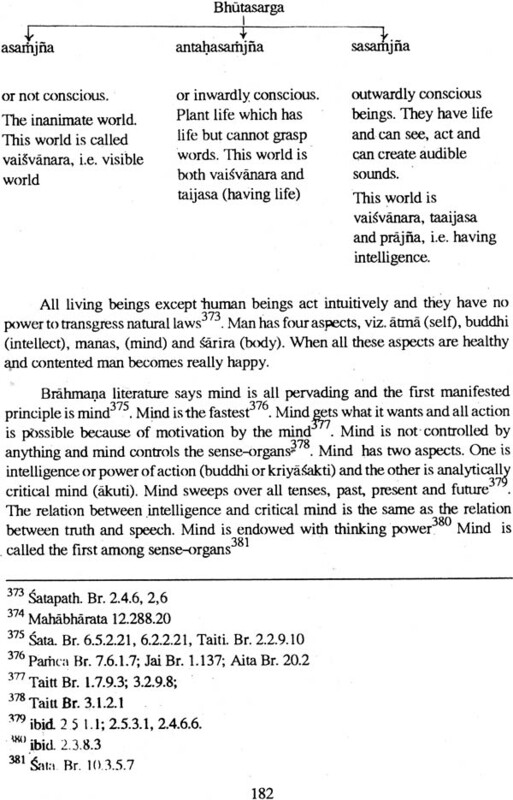 In this context when I came across some ancient Indian insights such as Sodasaklam Va idam Sarvam and Prakasakryasthitisiliam bhutendriyatmakam Bhogapa varagartham drsyam that describe the whole reality including the human being, his place in the universe and the purpose of the phenomenal world in just one sutra, I was overwhelmed. I immediately decided to make an attempt to understand ancient Indian Wisdom in the light of the findings of the world of modern science. Therefore, the main aim of this project is an attempt to understand the universe in terms of the interrelations between matter, life and mind. For this purpose the universe has been looked at from its present existing state down to the beginning of time. Further, the aspects of evolution, life, mind and consciousness have also been considered. 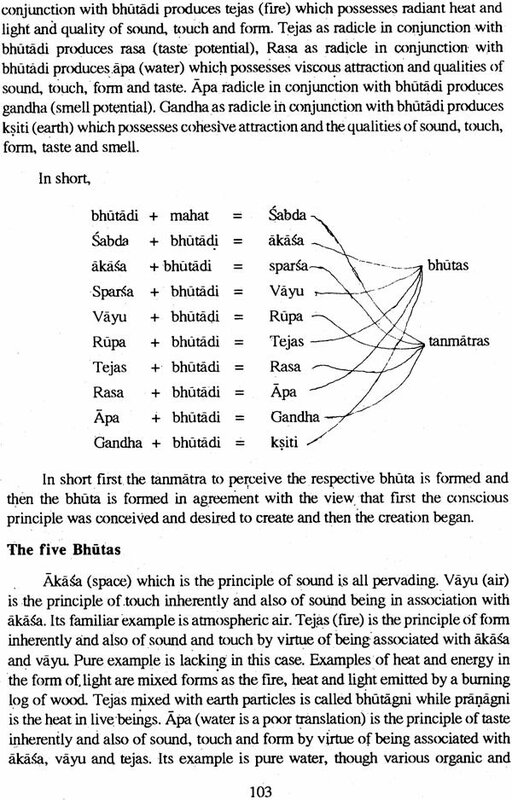 All the above aspects have been studied from both modern scientific and from ancient Indian points of view. Both these points of view have been described separately without comparing them but instead by pointing out some similarities, when they were found. The main purpose of this study is to try to find out some ancient Indian insights which might prove useful in modern scientific research. 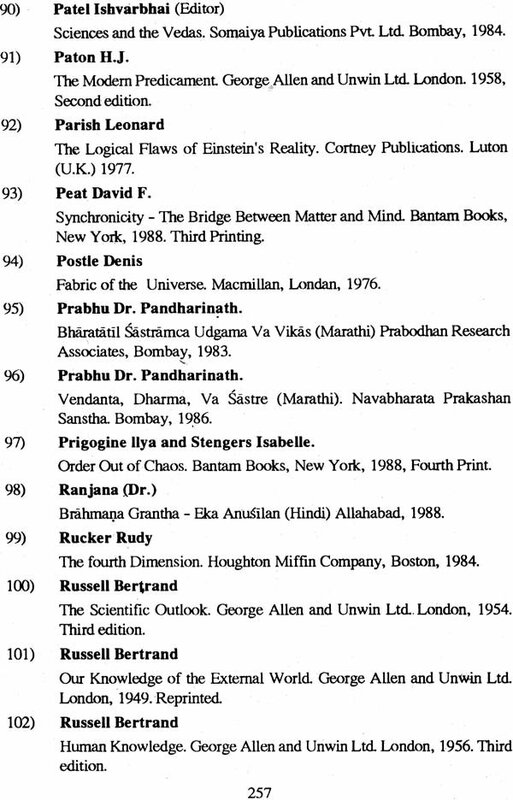 This is only an humble attempt where no claim either to originality or to complete comprehensive study is made. Whatever has been discovered or enquired into by the great scholars of modem science as well as by ancient Indian seers has been put down in an attempt to learn from both the wisdoms. In the final chapter, an attempt has been made to point out the fields of research where modem science and ancient Indian Wisdom can work together and enrich each other.